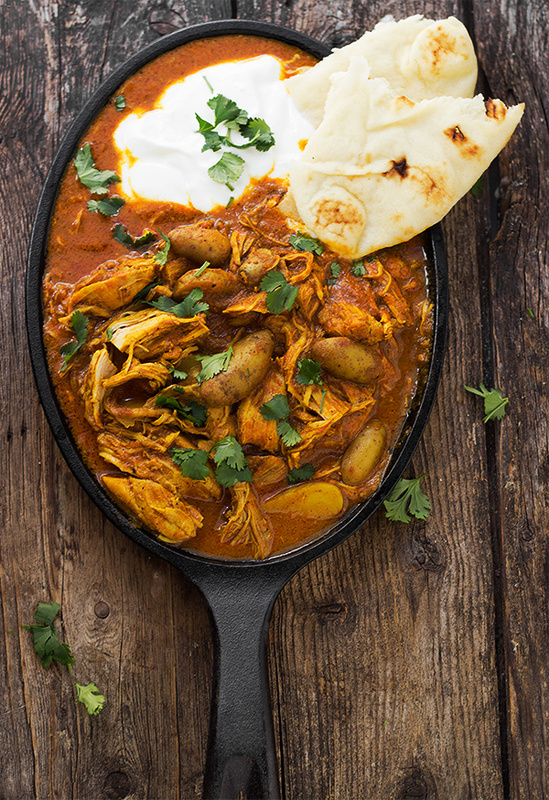 Successfully saved Indian Spiced Stew with Chicken and Potatoes to your Calendar. You can also save the ingredients to your Grocery List. You can make this dish ahead and refrigerate for up to 3 days. Perfect for entertaining. Simply re-heat in your Dutch oven, thinning with a bit of chicken broth, if necessary. A wonderfully hearty and Indian-spiced stew with chicken and potatoes in a tomato cream sauce. A perfect cold-weather dish for a lazy weekend meal or make it ahead (up to 3 days ahead!) for entertaining.